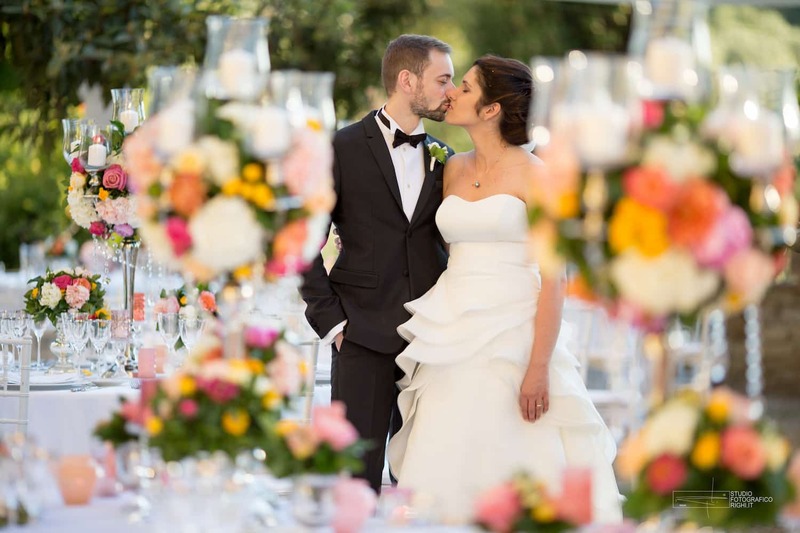 Sweetness, simplicity and authenticity are the three words best describe this couple and their magnificent wedding in Florence. 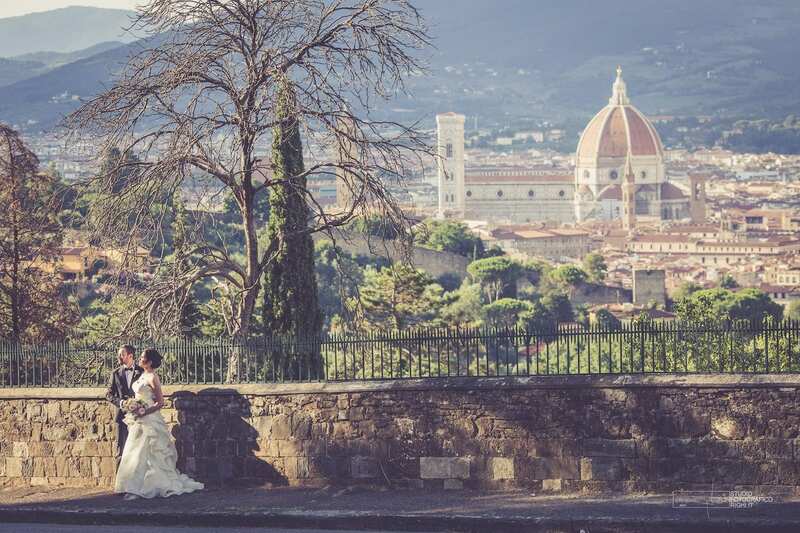 The bride, Italian, and the groom, French, both engineers, decided to celebrate their love in Florence, not far from the bride’s hometown. 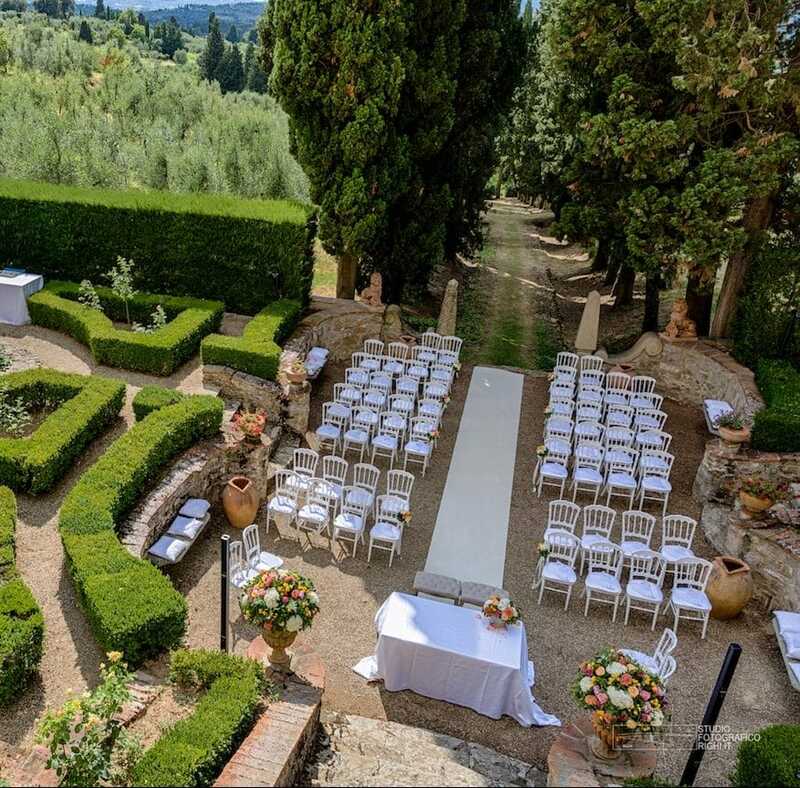 They asked for our help not just to organize the logistics that a destination wedding requires, but also to create a low-key yet elegant event that would best reflect their personalities. 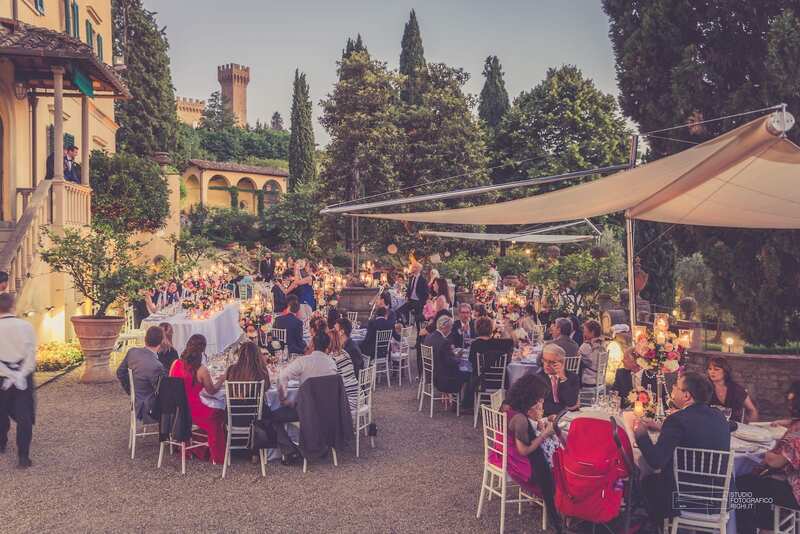 The location they chose, Villa Agape, set on Florence’s hilltops, accommodated all French guests for three days, and was also the venue for the couple’s refined civil ceremony and lively reception. 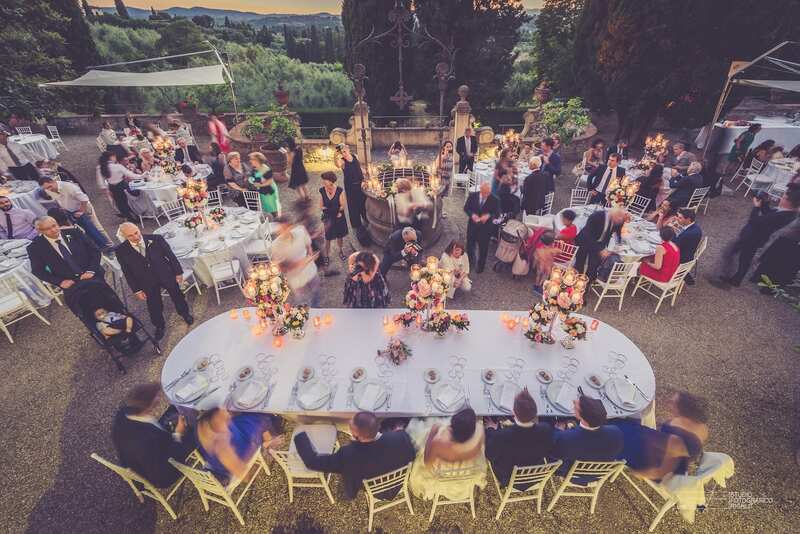 Starting from the bride’s request of having an elegant and calm wedding, yet colourful and fun, we thought of an intimate ceremony in the Italian garden, followed by a reception on the villa’s terrace – where an antique well was a central attraction – and an after-dinner party with a DJ set in the villa’s cellar. 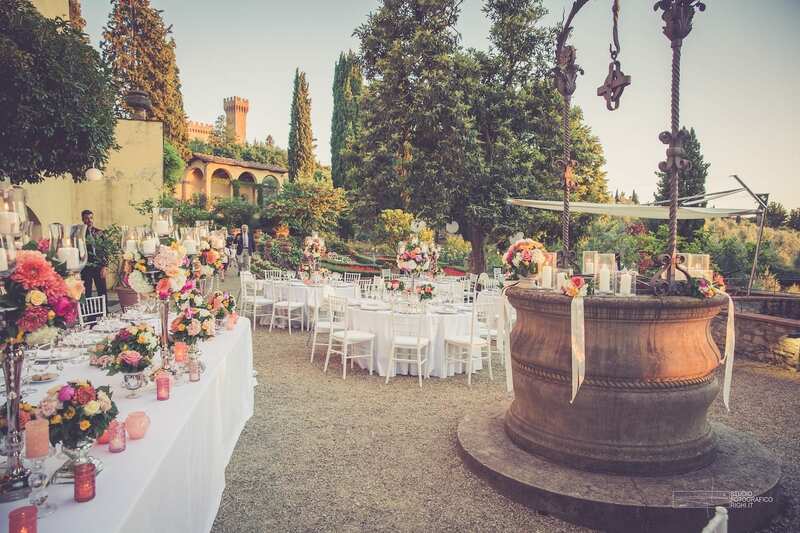 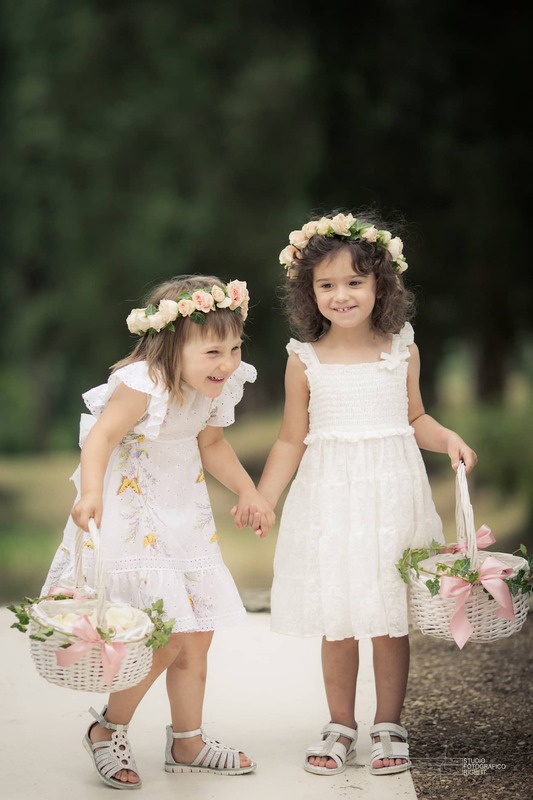 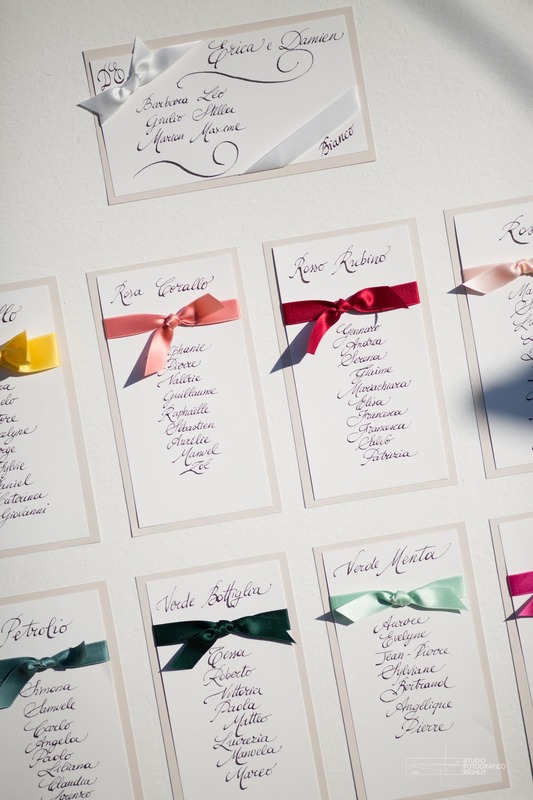 The common thread between these different settings for their big day was the choice of an elegant décor, consisting of summer flowers with pastel colors – with hues of orange, blush, pink and peach –, together with textiles and precious materials typical of the Florentine tradition. 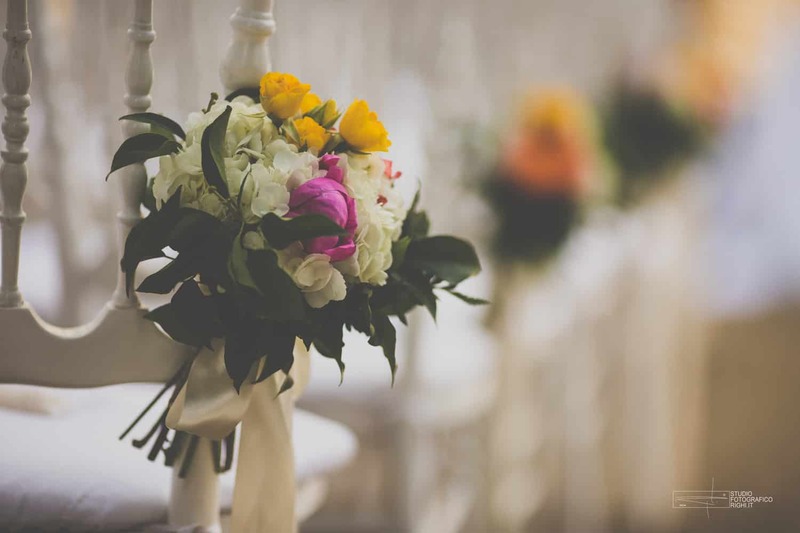 Tall and decorated chandeliers were the centerpieces studied for the occasion, which contributed by adding another touch of romanticism thanks to their flickering and gentle light.